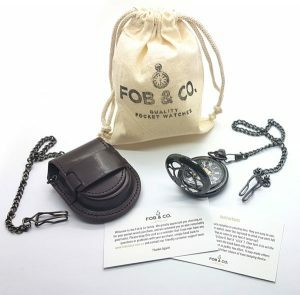 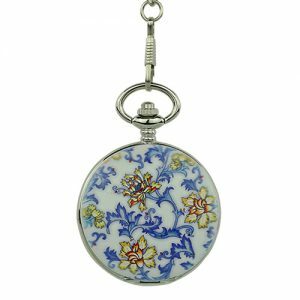 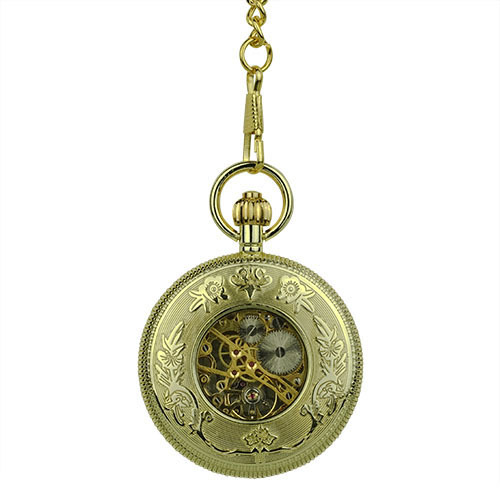 Scalloped Damask Rim Hunter Pocket Watch - Fob & Co.
Get your gold on! 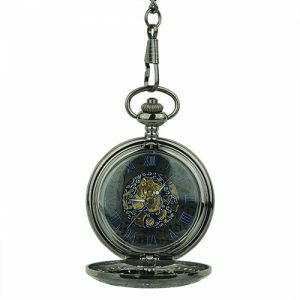 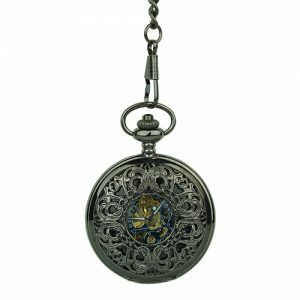 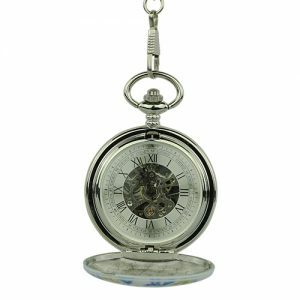 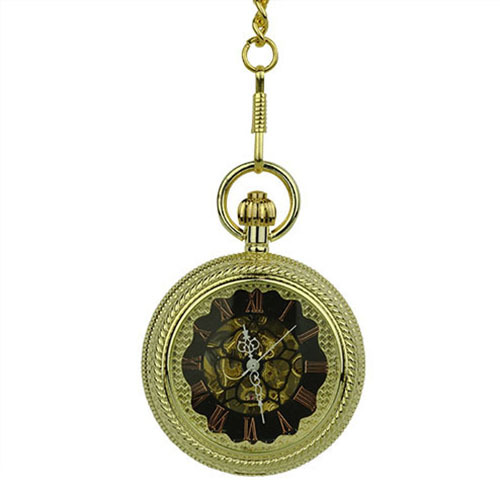 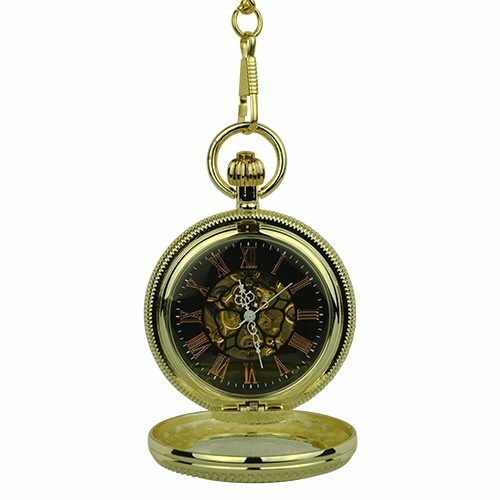 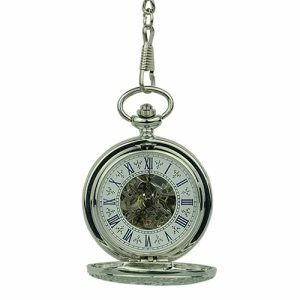 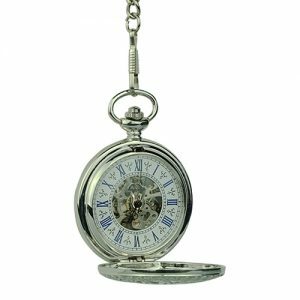 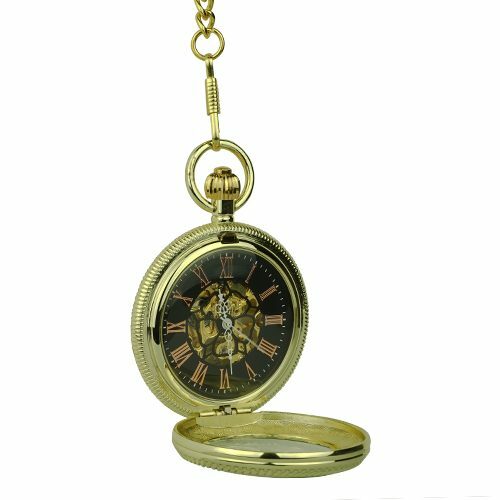 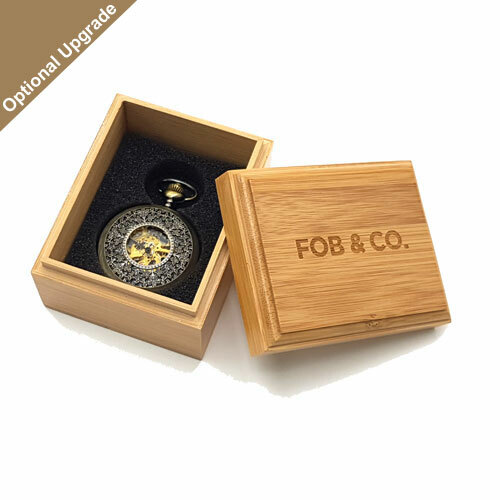 This masterfully crafted pocket watch features gold-finished linked chains and ropes engulfing a crystal window that shows off brass-coloured Roman numerals on a black background and a golden skeleton topped with a hollow flower frame. 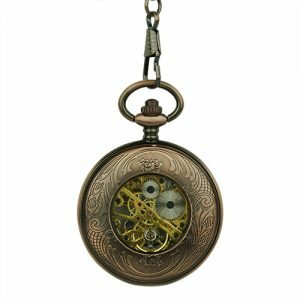 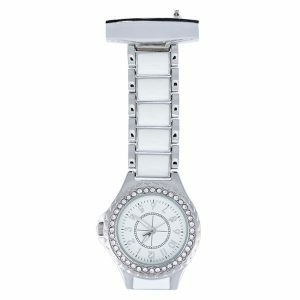 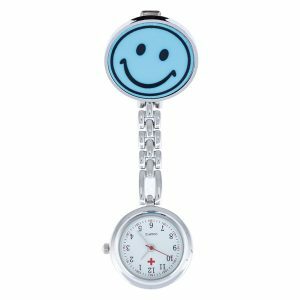 Turn this handsome watch over for a view of the rear cover that displays Victorian vines and a window to offer another glimpse into the inner workings.